If you want to give your Jeep a bold aggressive look, then the Dirty Life Race Wheels Ironman 9300 Street Series Wheel in Matte Black is the right choice for you. These rugged aluminum alloy wheels are built to last with a tough corrosion resistant finish and Dirty Life’s patented High Strength Lip (HSL) technology. HSL is a proprietary design that ensures Dirty Life’s wheels stand up to even the toughest conditions. The Ironman 9300 also features a simulated beadlock design. Beadlock wheels are growing in popularity in the Jeep and off-road communities. Dirty Life backs their wheels with a One Year Finish and Limited Lifetime Structural Warranty. Aggressive Styling: Ironman 9300 Street Series Wheels feature a wide sculpted eight spoke design. The simulated beadlock ring gives a great accent to any Jeep. High Strength Lip: Dirty Life reinforces their 9300 Street Series wheels with their patented High Strength Lip (HSL) technology. This allows the Ironman to tackle any terrain without cracking, bending, or breaking the bead. 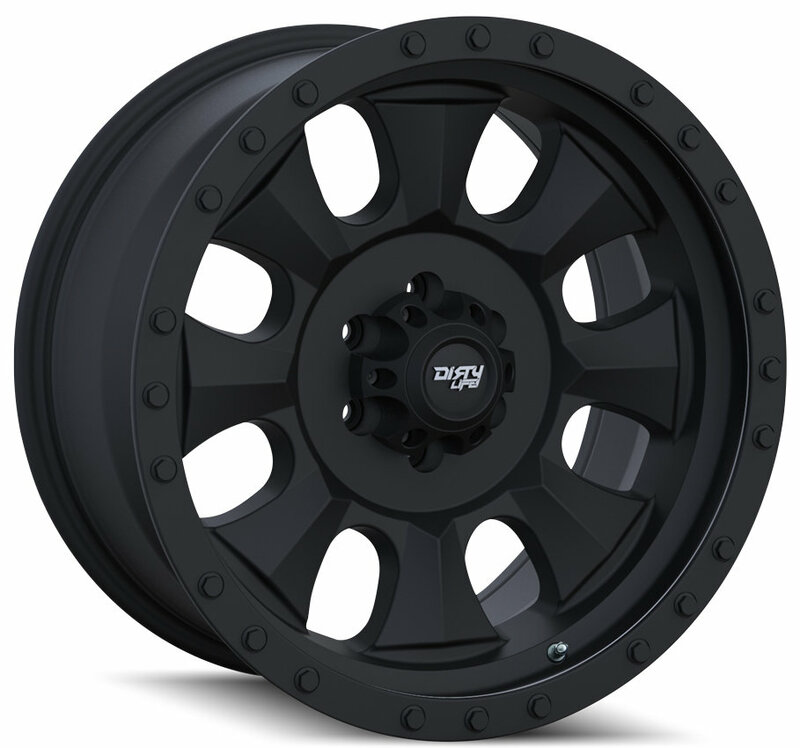 Matte Black Finish: These wheels are finished in a tough corrosion resistant matte black finish. Both the wheel and the simulated beadlock ring share the same high strength coating.